Religion, as indeterminate as the term may ultimately be, means nothing but the creation of meaning. Like cartography, it can be understood as a means to measure being, whose quality lies in exceeding the world. In creating meaning, religion functions as a commodity ideology, and the Christian commodity religion in particular never loses track of the reality of the underprivileged. It is intended for every-day life. And in doing so, it is highly adaptable. The readiness of Christian religion to align itself with the existing conditions is related to its fundamental uncertainty. Christianity never decided whether to be primarily about the presence or the future, whether it is a religion of faith or of sacrifice, whether it tends toward withdrawal from the world or transformation of the world. Faith Machine deals with functionalities of narratives and their influence on the construction of reality. 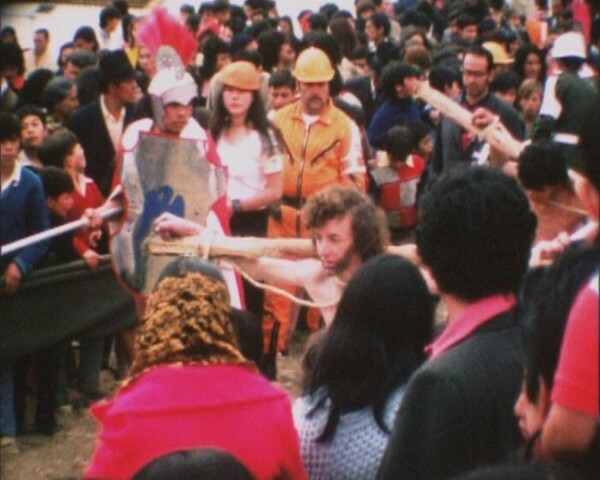 The work shows, in a super 8 exposure from 1976, the ritual of a crucifixion procession in Barrio Veinte de Julio (named after the date of Colombia’s declaration of independence), Bogotá. Today, the Easter ritual is still a popular happening, attracting tens of thousands of visitors. 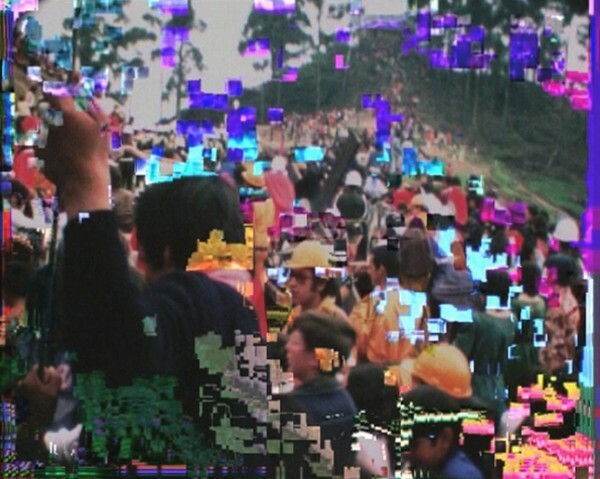 The Material Super 8, whose interpretation changes with time, was processed with digital compression errors. The material was then re-analogized. By corrupting the compression, the contours of the human bodies disintegrate into the continuous repetition of the procession. In these images, the movement remains the only stored information.